VINIFICATION: Maceration prior to cold fermentation. Alcohol fermentation, a short period in vats, drawing, pressing, malolactic fermentation, then maturation in vats. In 1882, Jean Prat the elder, a 19th century visionary, took over Domaine de la Baume, which had been lying fallow since the phylloxera outbreak. With the help of his sons, in the space of 20 years he restored 100 hectares of vineyard, exported his production abroad and opened a shop in the Paris of 1900, newly restyled by the Baron Haussmann. After several changes of proprietor between 1947 and the present day, it was Joseph Helfrich, CEO of the Grands Chais de France group and 21st century visionary, who took over at the head of this wonderful estate in 2003 and proceeded to establish its much-deserved international recognition. Can be drunk with grilled peppers, red meat, roast duck, and with fine cheeses. 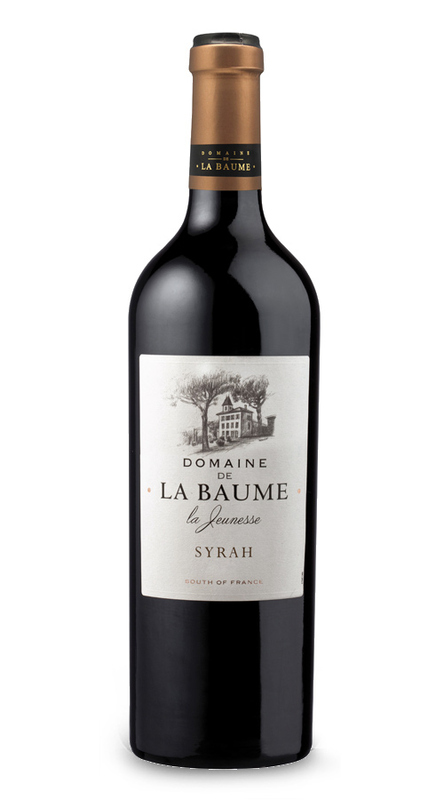 Nose: Aromas of ripe red fruit, black pepper, bilberry and violet. Palate: Full and fruity with silky soft tannins. Finish: smoke and leather notes are backed up by soft spicy fruits.